Yup, you read that headline correctly. There’s now a free app available called RunPee for Android, Apple and Windows 7 systems that tells moviegoers at which scene in a movie it’s safe to run out of the theatre to use the bathroom. Not only will the app tell you at which point in the movie you can safely step out for a few minutes (usually due to an impending lull in the action), it will also provide a synopsis of the first three minutes of the movie if you arrived late and let you know whether or not you should stay during the credits for extra features. Once you download the app, find the movie you’ ll be watching and start the app’s timer when the movie starts. Your phone will vibrate when it’s safe to the go to the bathroom and will even provide you with a rundown of what happened while you’re, um, “indisposed.” (See! It even gives you something to read in the bathroom.) Movies are added to the app continuously. Typically, one or two “pee times” lasting between three and five minutes are included for each movie. For more details on the RunPee app, visit their website. 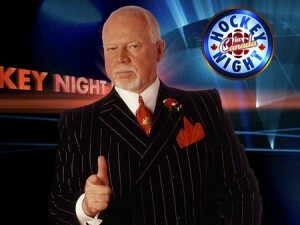 The bombastic, opinionated and very popular Don Cherry of Hockey Night in Canada’s Coach’s Corner on CBC Television tore a strip off the Toronto Maple Leafs organization on Twitter this week. Cherry was upset with the team’s treatment of player Nazem Kadri, the Leafs’ first-round draft pick in 2009. The angry tweets caught the eye of the media and were widely reported. Also courtesy of Twitter, I learned why Cherry favours those high collars as part of his colourful wardrobe. It’s because his father wore high collars and Cherry always thought he looked sharp in them. So, now you know! Would you like some wine with that whine? White Whine – A collection of first-world problems is a website that collects petty complaints that social media users post online. 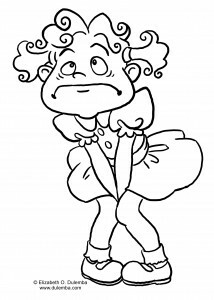 We all feel sorry for ourselves from time to time, and White Whine is a collection of some of the sillier things about which we freak out. With the advent of Twitter and Facebook, finding some of the petty things people complain about when there are starving children in the world is pretty eye-opening. There is also a companion Facebook page and a Twitter account at @whitewhines. 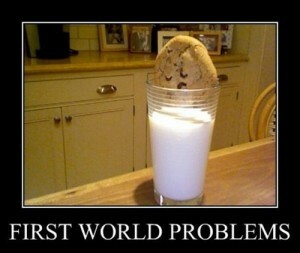 If you’ve seen people posting “First-world problem!” as a comment below a Facebook post, they’re trying to tell the person that their problem isn’t that big of a deal in the greater context of the world. White Whine is quite entertaining and they certainly make you think twice about complaining online after you read a few dozen of the posts. Every week, I feature three YouTube channels for you to check out. Statistics are current to Oct. 2. Have a favourite YouTube channel? Please contact me to share it and I may feature it here.